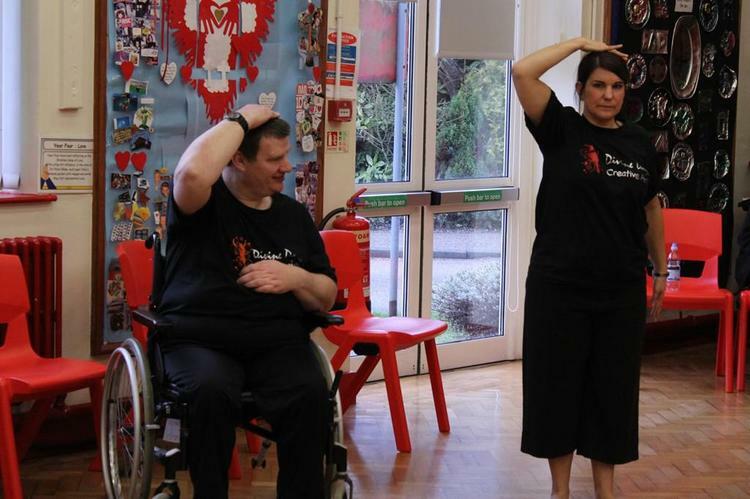 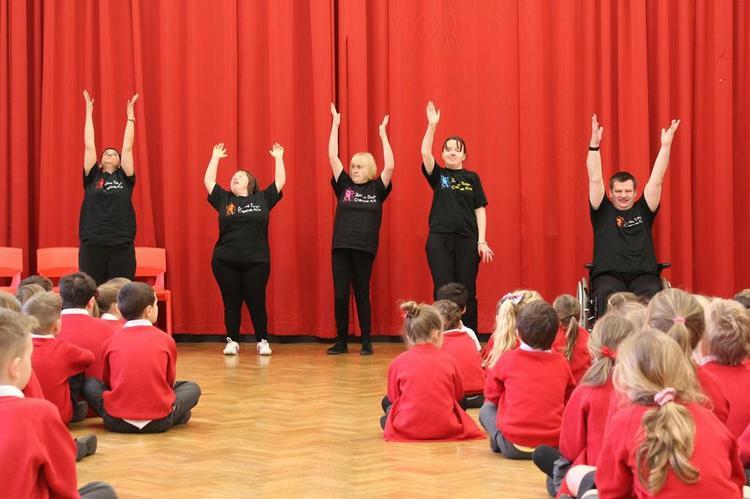 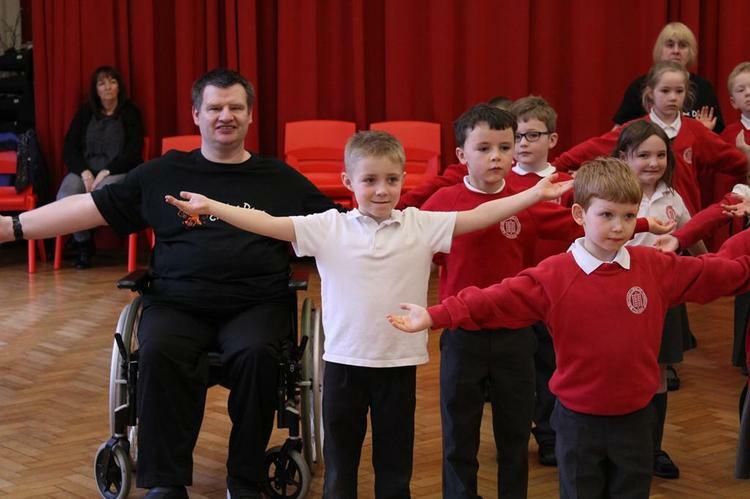 On Thursday 4th February we received a visit from a creative dance group for adults with additional needs called 'Divine Days'. 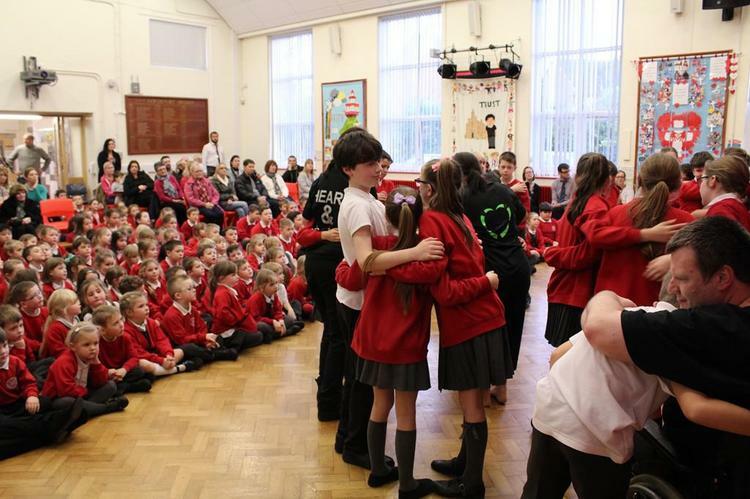 In what turned out to be one of the most powerful and moving days seen here at Lordsgate, the children did the school proud by showing our values of respect, friendship and love towards the dancers. 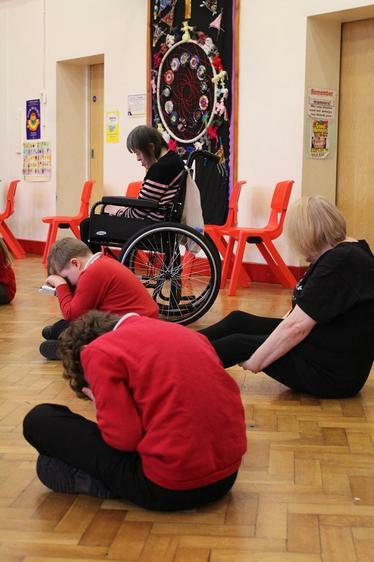 The day started with a performance from Divine Days to model the quality of performances the children would be working on during the day. 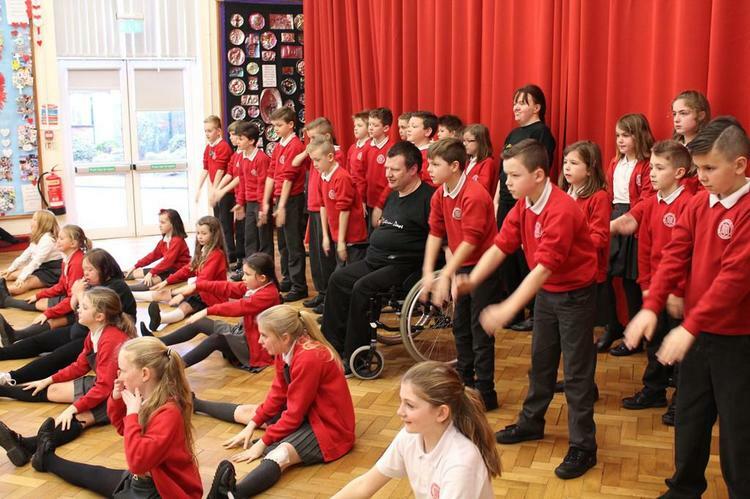 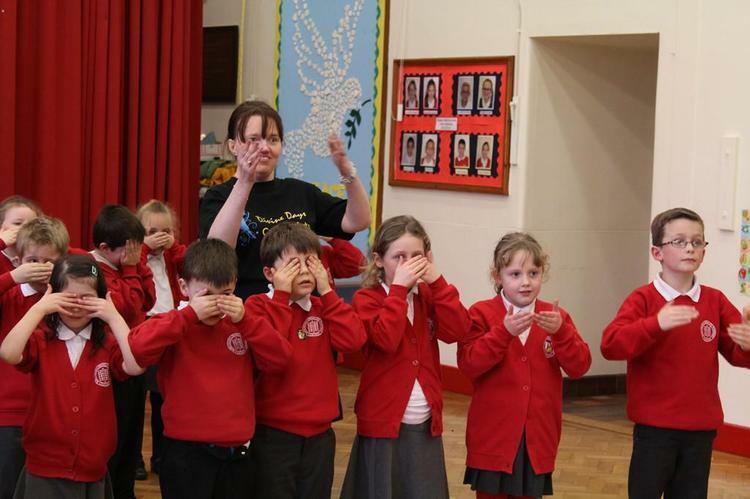 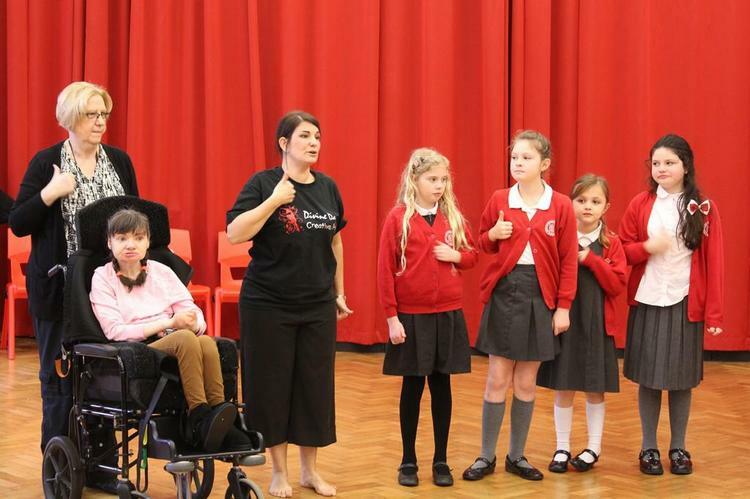 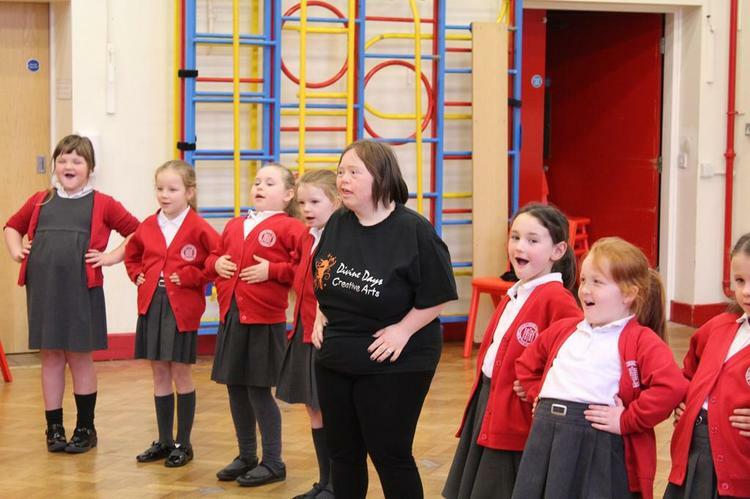 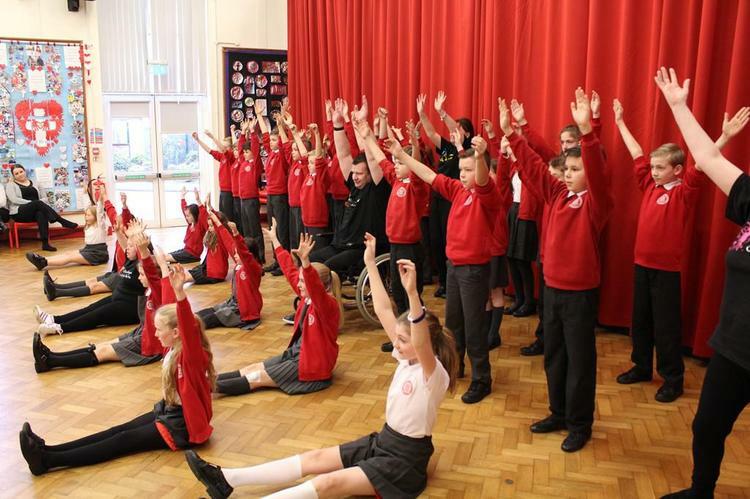 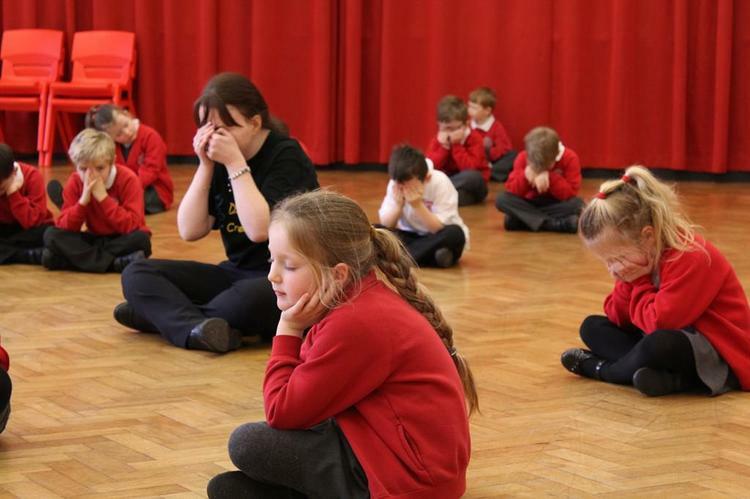 Each class from Y2 to Y6 took part in a workshop session with the group. 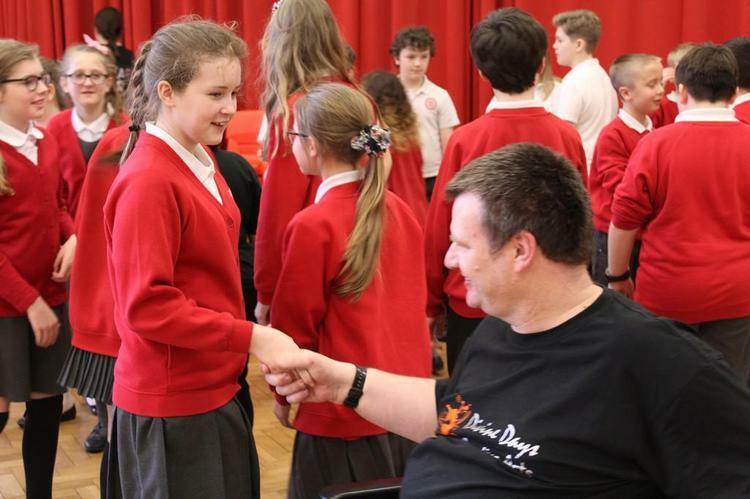 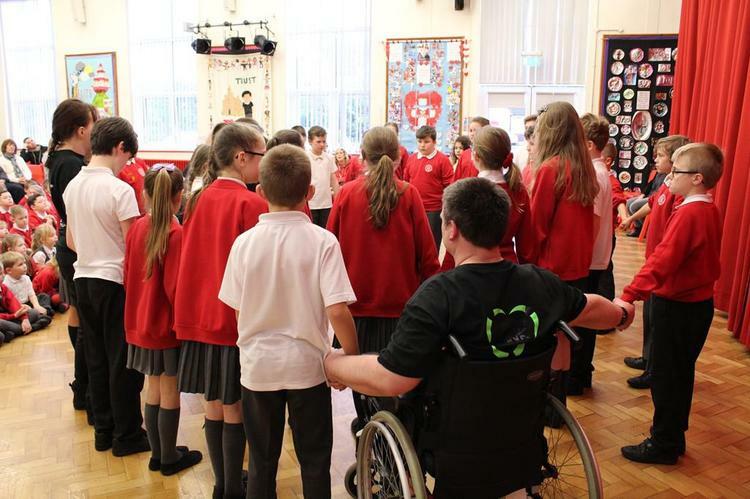 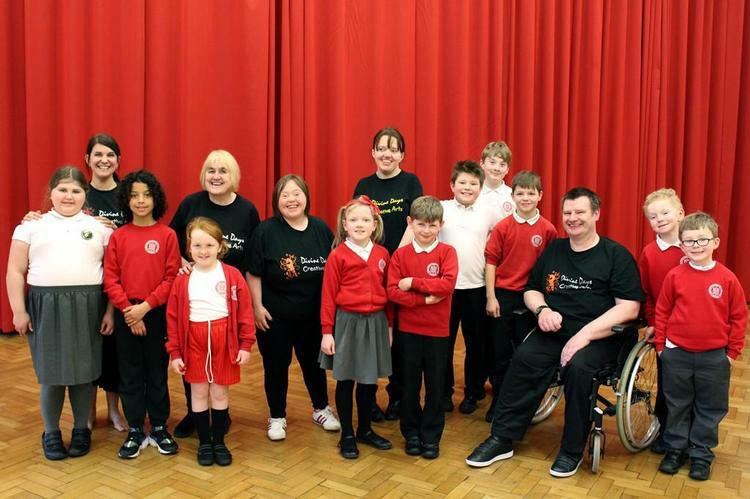 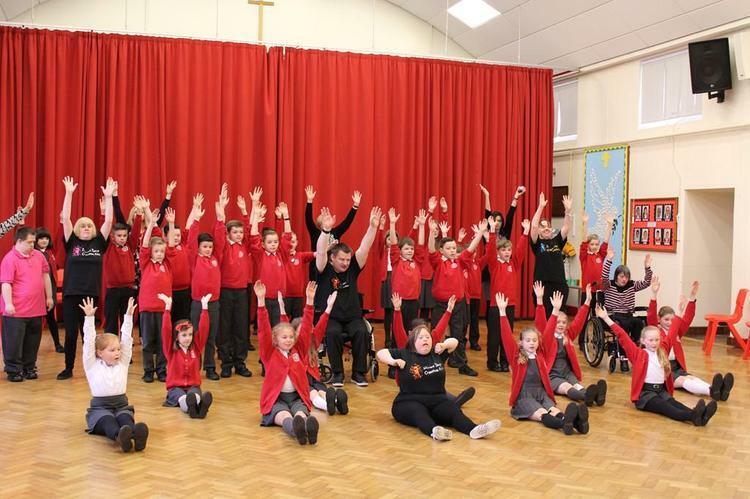 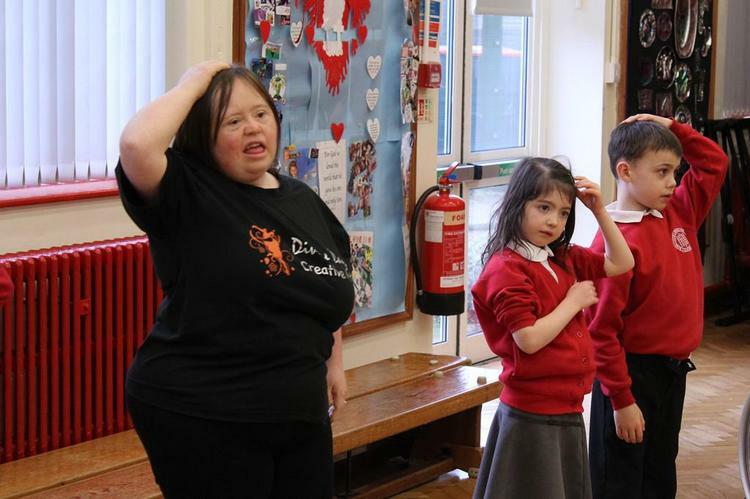 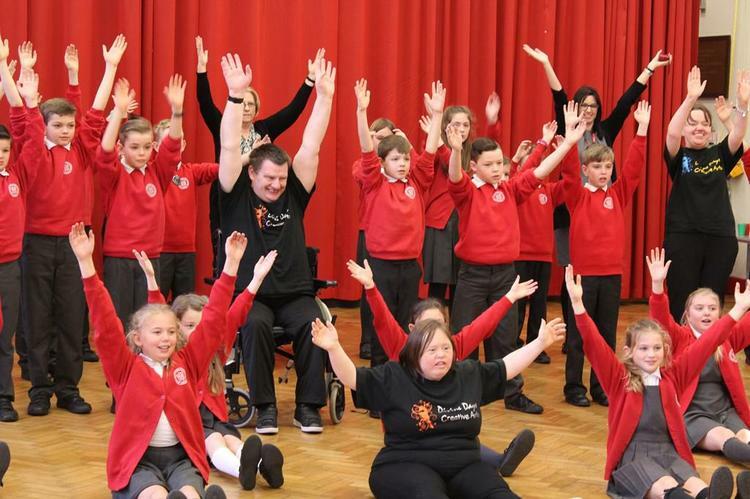 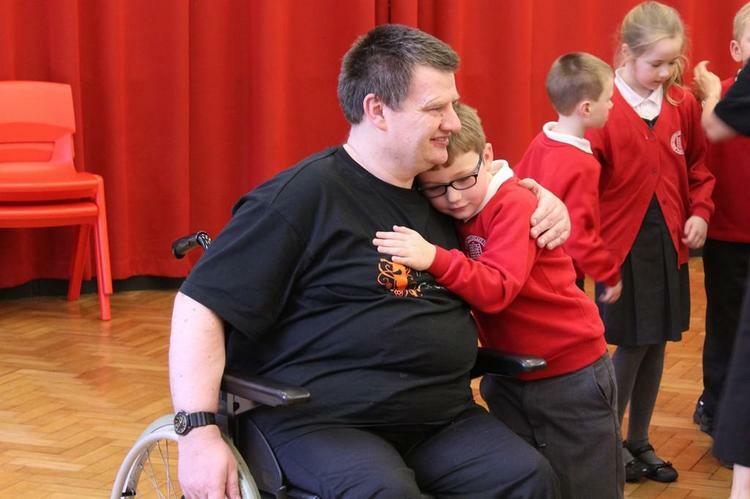 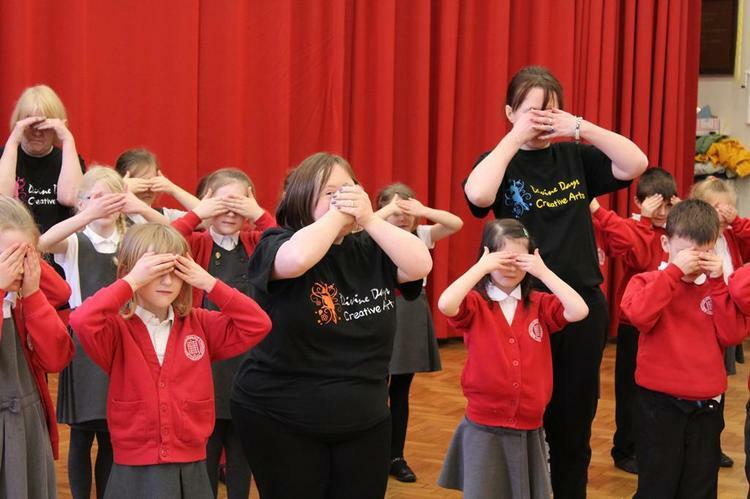 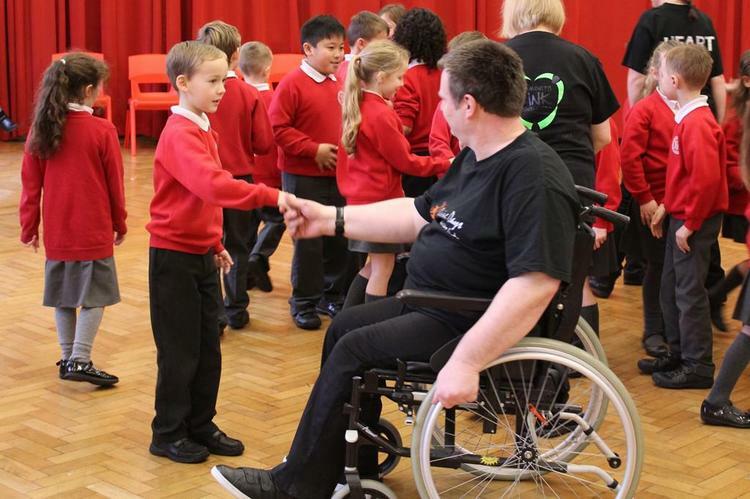 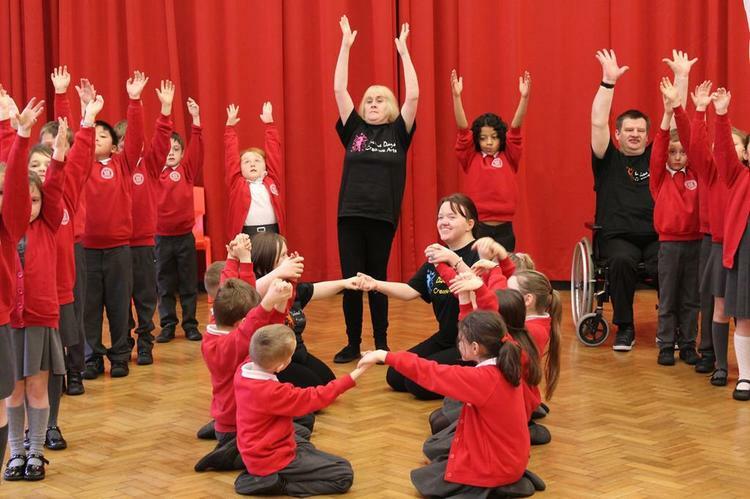 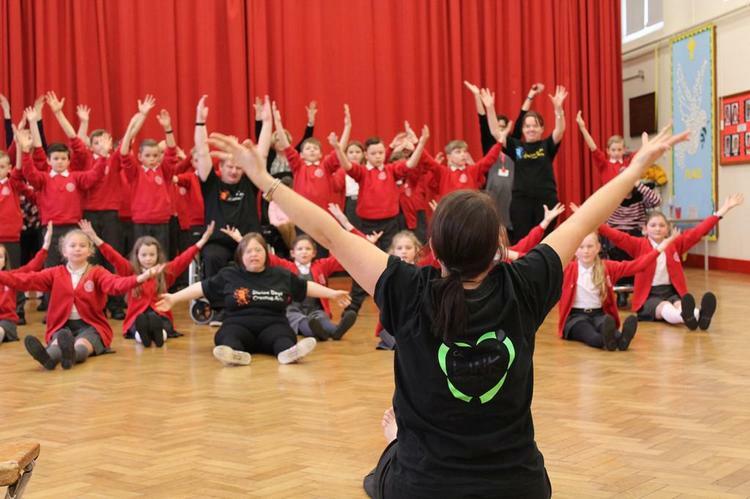 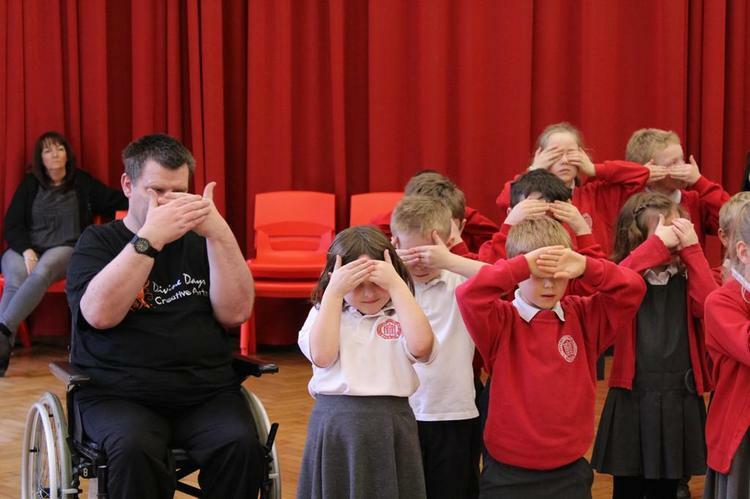 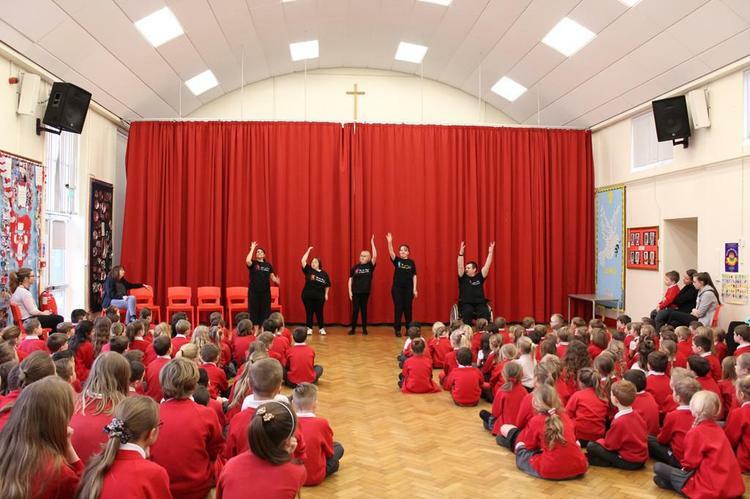 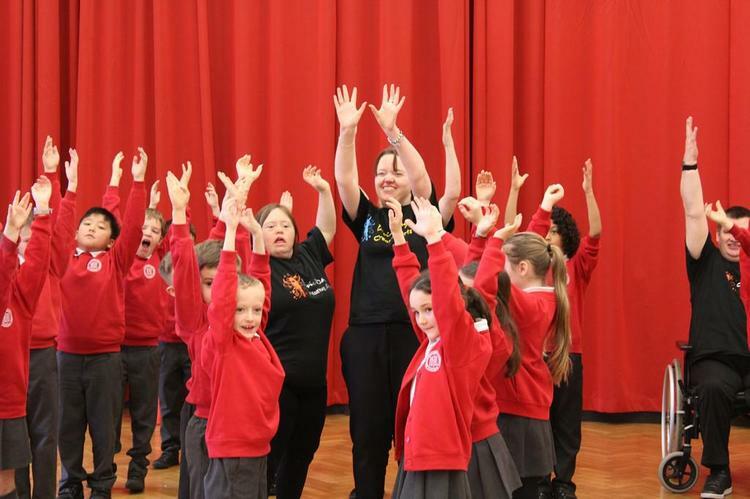 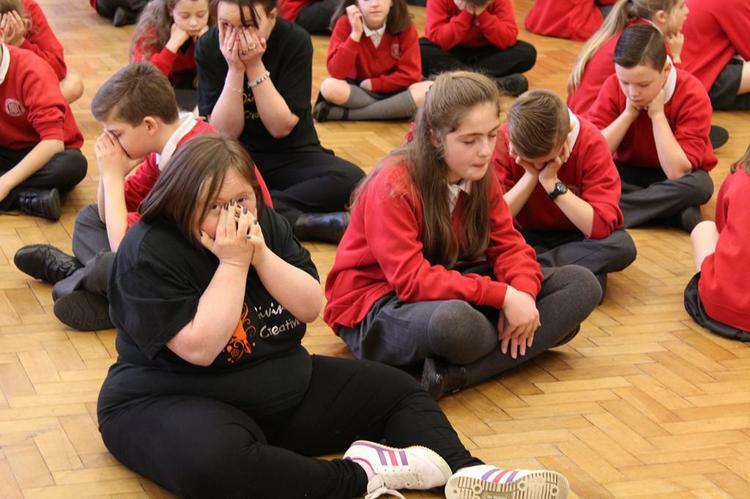 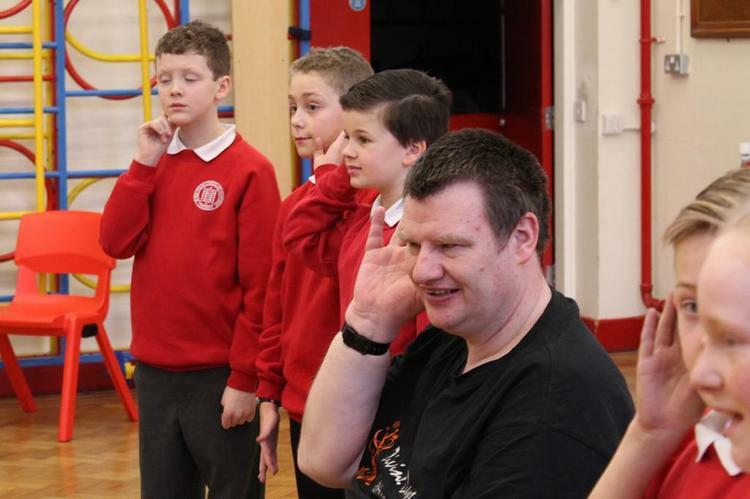 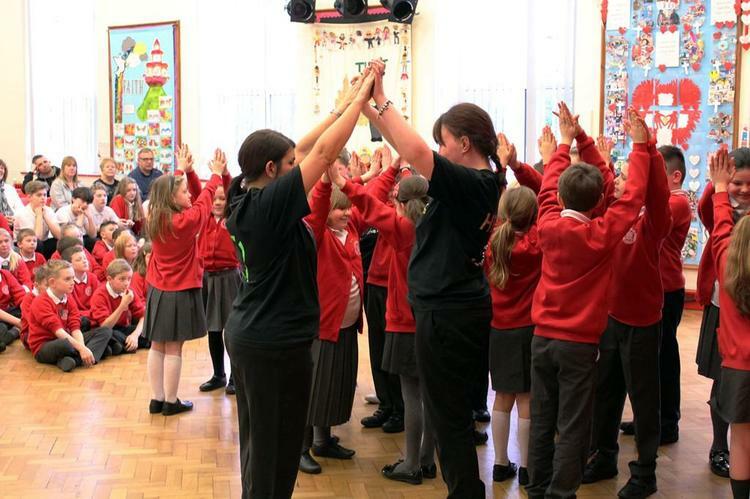 Each workshop consisted of finding out a little bit about the dancers, learning the values that the dancers work within such as; respect, listening to each other, taking care of each other and ‘having fun’. 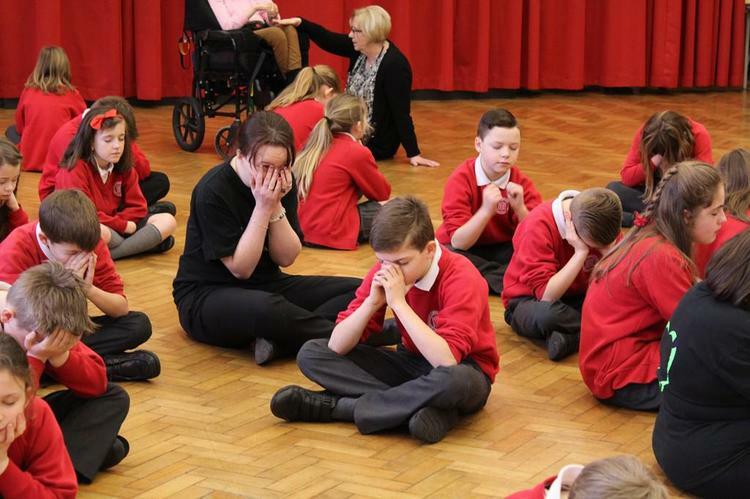 It was also inspiring to hear how some of the adults had overcome difficulties in their lives. 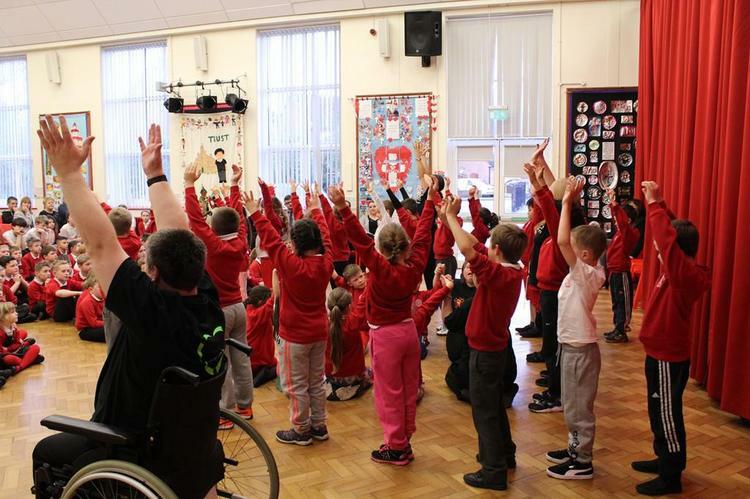 The children then learnt one of the Divine Days dances to very relevant songs such as ‘Man in the Mirror’, or ‘We Stand Tall like Giants’. 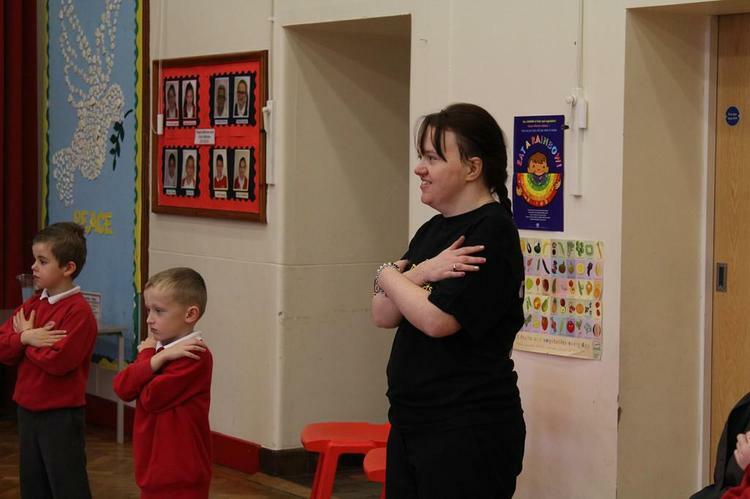 At the end of the day the children performed their dances to parents and family members in a very special show. 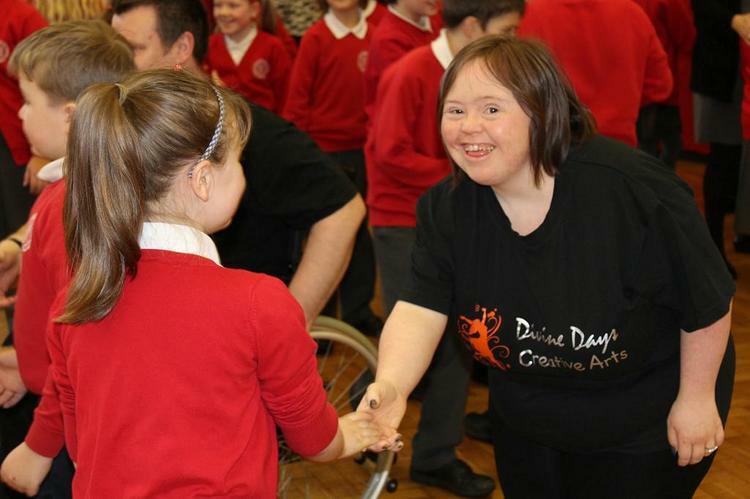 The day really encouraged everyone to respect one another and to work together. 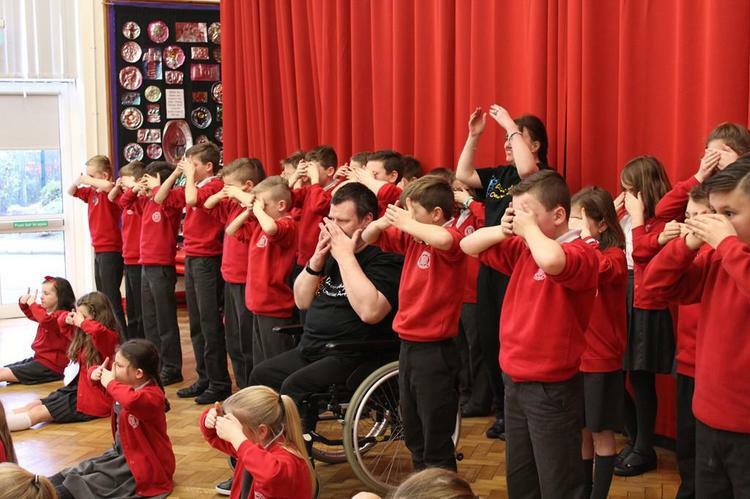 We hope it helped the children understand that despite our differences we all are valued and have something special to give to others.